Compiling this list has proved to be rather more difficult to do than I had initially anticipated. 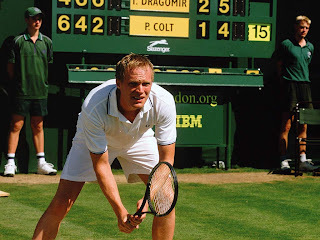 For some reason, tennis doesn't feature in the movies that often, and you can count the number of mainstream films which are primarily concerned with the sport on the fingers of one hand. This was a bit of a surprise to me - from the number of movie stars you see attending the latter stages of the Grand Slam events (including Kevin Spacey, Sean Connery, Will Ferrell, Matthew Perry etc. ), it's obvious there's plenty of love for the game within Hollywood. You'd have thought at some point, these people would have at least discussed the idea of a making a wacky tennis comedy, a tennis biopic (adapting John McEnroe's autobiography would be a good idea), or hard-hitting tennis drama, but as far as I can see, no such movies are in the pipeline. Before we get down to business, I should mention that I consulted this excellent online resource when putting this blog post together. Strangely, my number one pick was missing from their selection, but it otherwise provides a far more complete picture of tennis on film than I could ever hope to achieve with this list. As ever, there were a number of movies which just missed the cut. These films aren't necessarily any worse as movies than numbers 4 or 5 on my list, but I just felt that their connection to tennis was too tenuous to be included here. Films in this category include Clueless (brief tennis scene in gym class), Lucas (the object of the hero's affection is introduced practicing her ground strokes against a brick wall) and Dial M for Murder (the killer is an ex-professional tennis player, though I don't think a game ever actually takes place during the movie). Anyone for tennis? If the list were solely based on the amount of actual tennis played over the course of the picture, this movie would clearly come out on top. There are plenty of scenes featuring the sport as both Peter and Lizzie make their way towards the latter stages of the tournament. Unfortunately, I couldn't in good conscience list this film any higher than 5 on my list. It's a mediocre, predictable comedy which is pretty short on laughs. Anyone for tennis? As is common with every film on this list, it features a tennis pro as a central character. 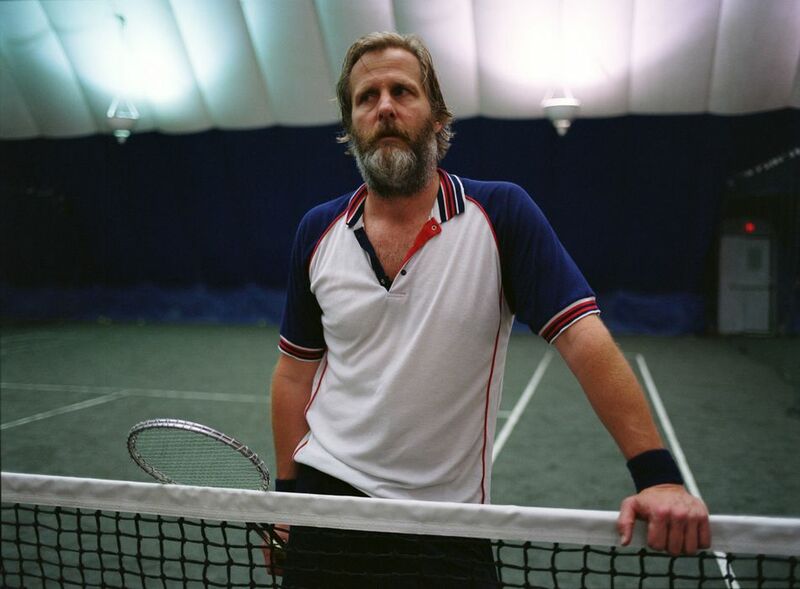 There's a tennis lesson at the start of the movie, and Allen uses a recurring motif of a tennis ball hitting the tape on the top of the net to symbolise the role chance plays in our lives. Unlike Wimbledon, I do like Match Point - it's a really well plotted thriller, though it is rather let down by Woody Allen's script, which establishes that the old guy really doesn't understand the way that English people speak nowadays. Anyone for tennis? 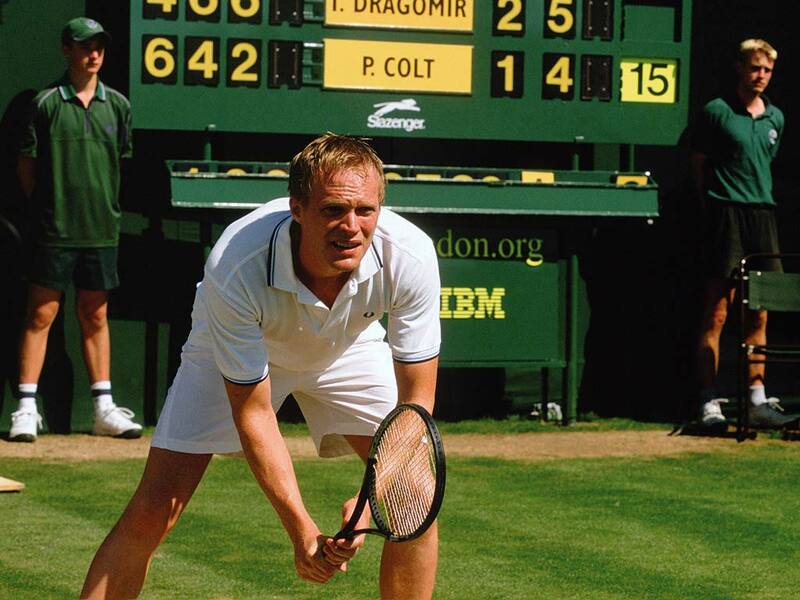 A pivotal sequence in the movie has Guy rushing to finish off a tennis match so that he can beat Bruno to the scene of the crime (you can see it on Youtube here). We also get to see Guy walking on to a practice court under the unflinching eye of Bruno Anthony. 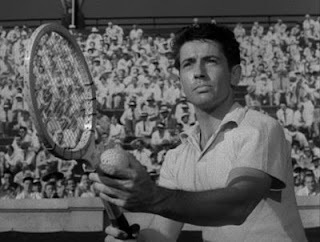 There's no doubt that this is a great tennis film, but even without the tennis, it's still terrific - one of Hitchcock's best, in my opinion. Synopsis: This partially autobiographical comedy drama from Noah Baumbach looks back to his childhood in 1980s Brooklyn. During his parents' messy divorce, eldest son Walt Berkman takes the side of his pompous intellectual father while his younger brother decides to back his mother, who has been seeing a laid back tennis pro on the side. Anyone for tennis? 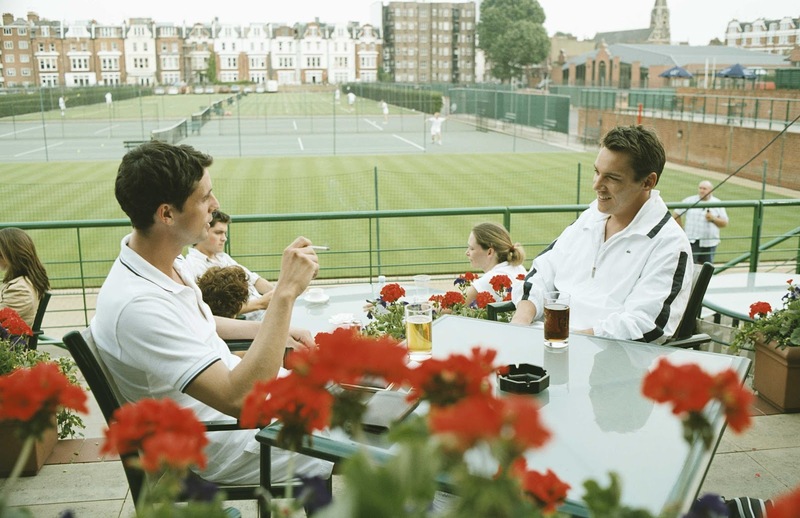 The division between the family is made clear in the very first scene, a tennis match which pits the family against one other (Frank's first line of the movie: "Mum and me versus you and Dad.") Tennis is also the flash point for an argument between Frank and his father, as a highly prized Vitas Gerulaitis poster goes missing. This one comes highly recommended - it's one of my favourite comedies of recent years, with a tremendously witty script and brilliant performances from the likes of Laura Linney, Jesse Eisenberg and Jeff Daniels. Synopsis: This quirky comedy takes a look into the lives of the dysfunctional Tenenbaum family. An unconventional upbringing offered by their roguish father Royal has led to the three Tenenbaum children achieving early success in different fields: Chas was a financial whiz kid, Richie a champion tennis player and Margot a published playwright. Unfortunately, as the narrator of the story puts it: "All memory of the brilliance of the young Tenenbaums had been erased by two decades of betrayal, failure and disaster." When Royal returns and announces that he has only a short time to live, will the family manage to pull themselves back together? Anyone for tennis? 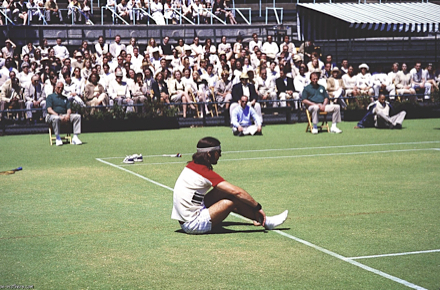 The film features what is definitely my favourite tennis scene of all time - in flashback, we see former champ Richie Tenenbaum's final match. Realising that he will never be able to be with the love of his life (his adopted sister Margot), he loses all hope in life and tennis, taking off his shoes and socks on court and slumping towards an unprecedented 0-6, 0-6, 0-6 defeat. It's a sad, but strangely amusing moment in a brilliant ensemble comedy, one of Wes Anderson's absolute best. Nice post. Love reading all your blog post. keep sharing more.